Best Vegetarian Restaurants in Victoria - and Vegan Restaurants too! 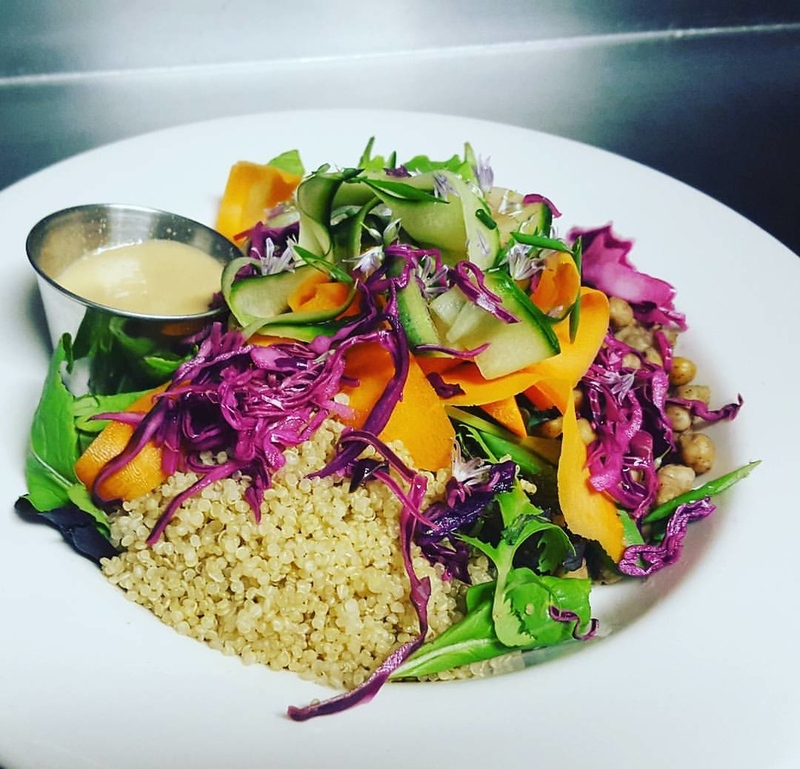 Best Vegetarian Restaurants in Victoria – and Vegan too! You may think a post about best vegetarian restaurants in Victoria is laughable with a site named after pork but everything should be in moderation – even meat. Although that sentiment didn’t go over well in Montana when I met with cattle farmers. But the more I travel the more I look for vegetarian food. I remember days in Peru that I was so thankful for chifa (Chinese restaurants in Peru) because I knew there was a good chance I could eat a lot of veggies on rice. Actually there’s lots of vegetarian food in Peru, and South America because meat was historically a luxury so many traditional dishes are vegetarian and often vegan. 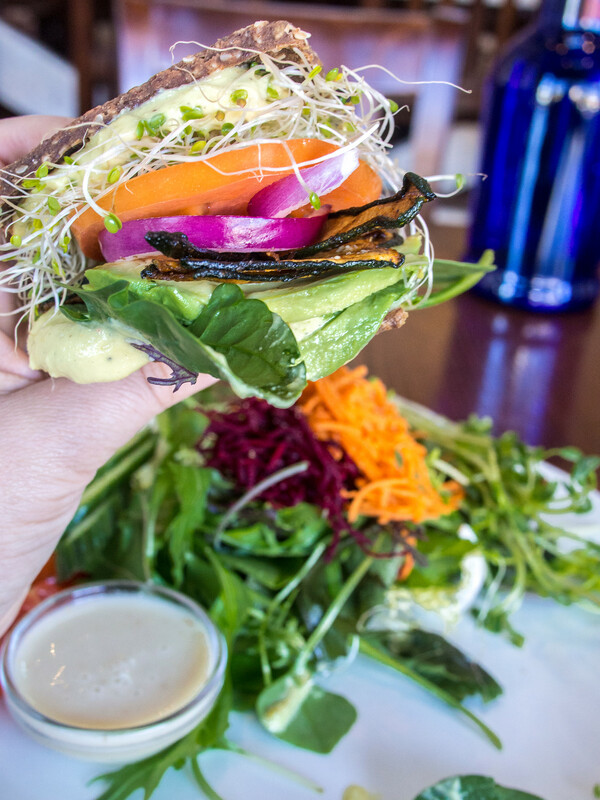 One thing you can be sure of on the West Coast is that there will be plenty of great vegan and vegetarian options. Victoria was no different. While Victoria has the second largest number of restaurants per capita in North America (not surprisingly, second to San Francisco), it also has the highest vegetarian food sales per capita on the continent. There’s a large vegetarian and vegan population, and most restaurants offer more than token meatless menu items for vegans and vegetarians. But there’s also a lot of omnivores that choose vegetarian and vegan often. So while visiting I thought I would too, which meant eating two lunches some days…but all in the name of research. I promise they are good enough to satisfy even the brisket-arian in your life (yes I know someone who eats so much brisket they identify as brisketarian). A modern, upscale vegan restaurant, with the exception of local free-run eggs offered at brunch. I popped in for a raw ZLT (zucchini bacon, lettuce tomato), with honey-mustard cashew mayo on house made almond pumpernickel. No, it didn’t taste like bacon but it had the smokey, sweetness as well as the texture. It’s considerably more expensive than other options but a great atmosphere and menu options for an evening out. Let’s face it, vegans shouldn’t be relegated to only eating at less expensive buffets. Be Love is also known for its cocktail program and has bar seating. Also read: where to get the best cocktails in Victoria. Considered one of the best vegetarian restaurants in Victoria, it was recommended by everyone. Located in the Market Square Courtyard, it has been around for over 25 years. A well priced buffet, it’s also vegan but you’d never know – especially as there is a full selection of ice cream available. It was the first restaurant I visited in Victoria. After flying from Halifax from Victoria I was tired and hungry but didn’t want to eat. I knew I needed something comforting and full of nutrients so I came here. It was busy and that’s always a good sign. I tried the tom yam soup (amazing) and a bunch of different items from the buffet – some I liked better than others but that is normal with any buffet. 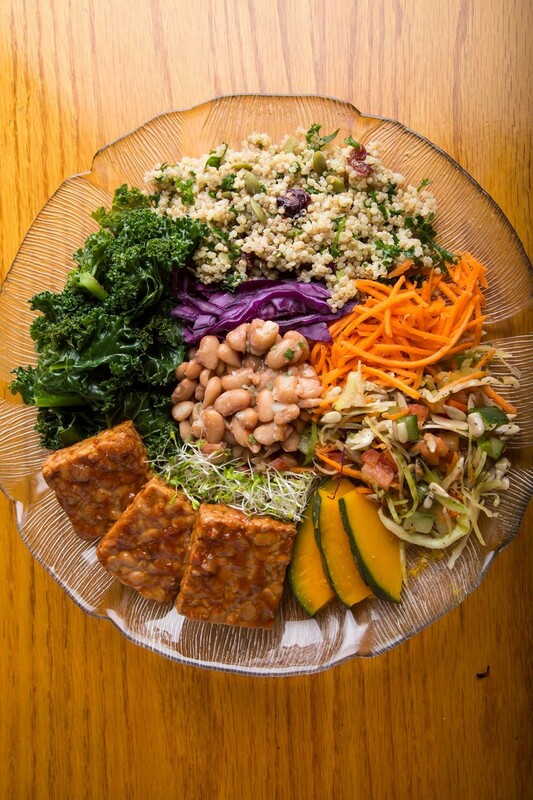 Located in Chinatown, Venus Sophia is Victoria’s only vegetarian tea room and it’s family-run. 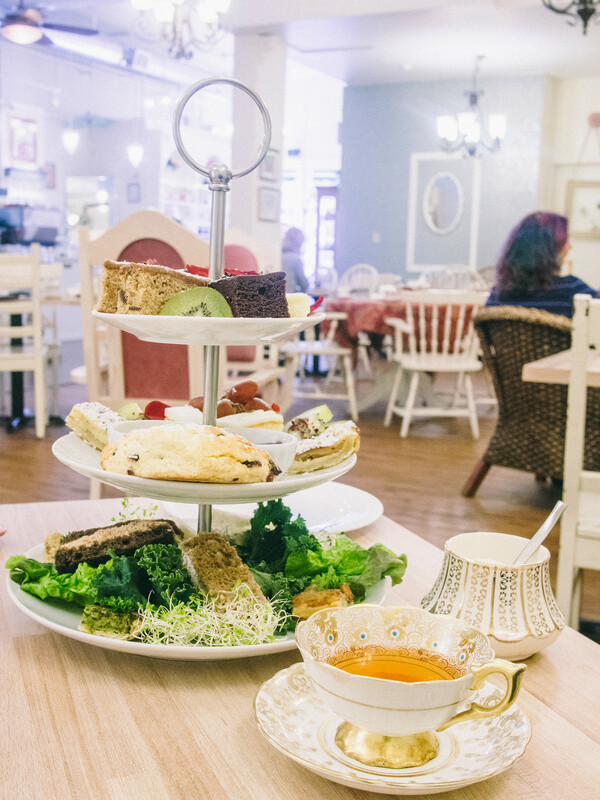 Most people who come into Venus Sophia would have no idea it’s a vegetarian tea room. You don’t miss the smoked salmon or tuna sandwiches when you have amazing mushroom and caramelized fig sandwiches. Afternoon tea in Victoria isn’t just for blue haired ladies, I saw all walks of life from a guy in a full tattoo sleeve to someone with a purple highlights. It’s received international accolades from everyone from Conde Naste Traveller to the Globe and Mail. But what I think is the most interesting is that everything is made from scratch on site daily. Many tea rooms will make the sandwiches but bring in pastries. I really appreciate their level of commitment to do everything there. Gluten-free friends, they can accommodate you too! I had the Signature Afternoon Tea ($36) with three tiers of food and I had a such a great time doing this on my own I shot a video. Sadly, my memory card decided it was time to pass on and I lost all the footage. So you’ll have to take my word for it. This is the kind of restaurant that everyone recommends but no one mentions that it happens to be vegetarian. Everyone loves it so they don’t consider it one of the best vegetarian restaurants in Victoria – just a restaurant. The menu features a few dishes with fish for pescatarians, as well as eggs for brunch, but it’s primarily vegetarian. But nowhere do they claim to be vegetarian, simply serving modern food. They are so popular they self-published Rebar: Modern Food Cookbook in 2001 and it became so popular you can buy it at Indigo and Amazon. Although I suspect most people buy the cookbook at Rebar after dinner. 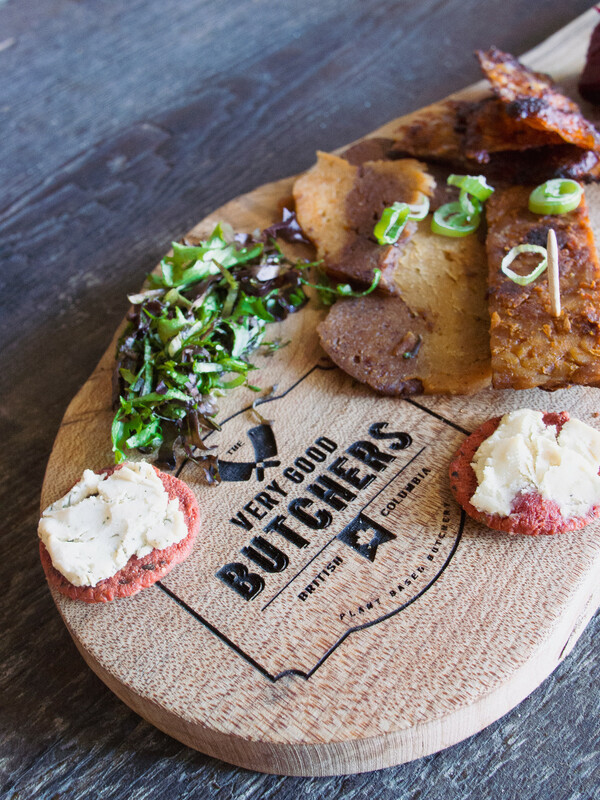 This vegan butcher was a must-visit item on my list. Vegetarian and vegan food was once hard to find but now everyone wants to eat more vegetables and cut back on meat. I loved the jackfruit “ribs” and even the rice paper bacon but the tempeh bacon was a tough sell. Half the customers are omnivore and I’m not surprised as the food is tasty. I met MANY vegetarians and vegans in Victoria and several suggested trying Lotus Pond Vegetarian Restaurant. It is actually vegan and also follows Buddhist doctrine, which means the five pungent plants, garlic, onion, chives, leeks, and shallots, are also not used. Interesting fact: these plants are supposed to cause anger when eaten raw and sexual desire when cooked. Back to Lotus… they are known for their mock meat, made with tvp and bean curd. They also offer a lunch buffet and are really reasonably priced a la cart. Disclosure: Tourism Victoria sponsored my visit to Victoria. I decided to explore writing the best vegetarian restaurants in Victoria on my own, often as a second lunch or late because I discovered there were SO MANY. This was easily the best city to travel if you’re looking for lots of healthy vegetarian and vegan food. Victoria looks to be just about the most charming place ever! I really need to visit. I’m laughing about the Brisketarian in your life – I have a feeling I know a few of those too. Well–I learned something new! 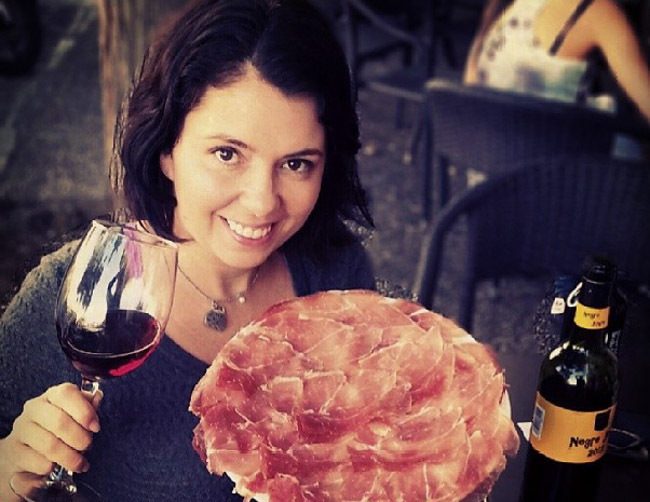 I live very close to Victoria, have eaten in all those restaurants except one–Venus Sophia. Thanks for the info. Must try! Awesome recommendations! Even though I live just across the Georgia Straight in the Lower Mainland, I don’t get to charming and beautiful Victoria often enough. This certainly gives me good reason to consider getting on the ferry a little more often! I’ve had the Very Good Butchers products and I was seriously impressed with them. I’m hoping to see them expand in the future. I’ve heard a lot about Rebar too – I’ll have to finally try it one of these days (and no doubt come home with a book…). Cheers! Great recommendations! Your pictures are making me drool and look up flights for Victoria at the same time 😉 I love the idea of the Very Good Butchers. It’s so unique. It’s wonderful to know there are so many great options for vegetarians, vegans and meat-eating-vegetable lovers in Victoria. I may not be vegetarian but I am DROOLING over that sandwich. OMG!! That’s amazing to have so many vegetarian/vegan restaurants to choose from. They are hard to find when traveling. Reviews like this are a big help. Makes me want to hop a plane! I’ve taken notes for my next visit! What a great bunch of restaurants! I’m not vegetarian, but LOVE to eat vegetarian and vegan meals regularly. All this looks delish!